September 19, 2014 - U.S. Representatives Randy Hultgren and Dan Lipinski today introduced the Standards Addressing Federal Transparency and Oversight With Evolving Recruitment Specifications (SAFE TOWERS) Act. The bill reverses the Federal Aviation Administration’s (FAA) new, "obscure and illogical hiring practices" which have passed over the most qualified air traffic controller candidates and raised concerns of safety and transparency. “The SAFE TOWERS Act is targeted at making sure we have the best and brightest in our control towers. When you climb into an airliner, you trust the pilot, the crew and air traffic controllers will keep you safe,” said Rep. Hultgren. “The new hiring standards jeopardize air travel safety because they divert the hiring process around highly-qualified, CTI-certified trainees and elevate off-the-street candidates. I have met with air traffic controllers in my district, collegiate training initiative (CTI) students, teachers and administrators who were blindsided by the FAA’s decision after spending tens of thousands of dollars and hours in specialized training courses. The FAA has been non-responsive to my inquiries about how their new hiring practices make our skies safer. We still have more questions than answers. “Lewis University in Romeoville has one of the premier CTI programs in the nation,” said Rep Lipinski. “For years its graduates, along with our military controllers, have gone on to proudly work for the FAA. Now, with these hastily implemented hiring procedures, the FAA is turning its back on the students and brave veterans that should be the backbone of our air traffic control system, in favor of a process that lacks transparency. Safety must be the number one concern for the FAA and we shouldn't be tinkering with this proven system." Currently, there are 272 air traffic controllers living in the 14th Congressional District. 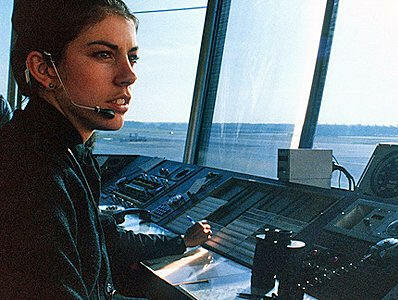 For decades, the FAA has relied on colleges and universities to prepare air traffic controllers through the CTI, ensuring candidates are well-trained for the position. This year the FAA changed its hiring practices with few details given about how the changes would be implemented and with little advance warning. There are strong signs that the new procedures have resulted in "unjust economic injury to candidates" who have been disqualified by the opaque Biographical Questionnaire (Bio Q). Further, many have “aged out” after turning 31 during the application process, thus becoming ineligible for the job for which they were specifically trained. Restore preferred status for CTI graduates with school recommendations and qualified veterans back into the hiring process. Eliminate the use of a Biographical Assessment that unduly disqualifies applicants. Allow candidates who will have aged out from the interim hiring process, or were deemed unqualified by the Bio Q, the chance to reapply. Establish an ATC Advisory Committee, composed of relevant educational institutions and organizations, to provide advice and recommendations to the Administrator of the FAA in regards to needs, objectives, plans, and content of air traffic control training programs. Requires an annual report from the Advisory Committee to Congress citing recommendations. The FAA must respond within 60 days explaining why they did or did not comply. Requires the FAA to notify Advisory Committee and CTI schools prior to any future changes in the hiring process and allow the schools an opportunity to comment. Requires the FAA take into consideration locally developed training initiatives at CTI schools when establishing best practices nationwide. Russia Considers Blocking Western Aircraft Over Its Airspace, But At What Price? Boeing Goes On The Attack Over Al Jazeera's "Broken Dreams, The Boeing 787"